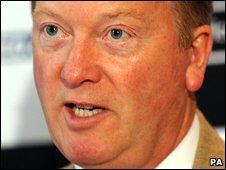 Boxing promoter Frank Warren has been awarded £35,000 libel damages against former world heavyweight champion Herbie Hide. 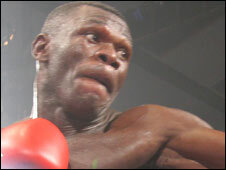 The action stemmed from a TV interview given by the Norwich boxer in 2008. Mr Warren told a judge in London Mr Hide had made an "outrageous" allegation that "I am manipulating and bribing people to give up titles". He said he was "extremely angry and annoyed" by the comments made by Mr Hide, a world champion in the 1990s. The proceedings were for the assessment of damages by Judge Patrick Moloney QC, who ruled the "appropriate award" was £35,000. He said he hoped the sum would "demonstrate to the world" that it was a serious case and that "Mr Warren has received the full vindication of this court". He also granted Mr Warren an injunction preventing the boxer from repeating the libel. Mr Hide took no part in the proceedings. Judgement against him was entered in default at an earlier court hearing. Mr Warren's lawyers claimed the words complained of in the interview in July 2008 "meant and were understood to mean" he had dishonestly and corruptly bribed boxer Johnny Nelson to retire. Mr Warren's counsel Richard Munden told the judge: "An allegation of bribery is clearly a very serious allegation to make about anyone's honesty and integrity. "But it is particularly damaging to the claimant given the nature of his work. "His job is to arrange boxing matches and negotiate contracts with opponents and his ability to do this depends on others in the industry... believing that he behaves in a fair and honest manner." Mr Munden said the words complained of were made during a telephone interview broadcast live on the television channel Setanta Sports Network during a specialist boxing programme. There was also a video clip of the broadcast on the website YouTube. The judge, in announcing his decision, said he was satisfied the injury to Mr Warren's reputation "can be described as a serious one" - it was "a serious allegation against his integrity". He added: "I am quite satisfied that he was genuinely affronted, offended and distressed." Mr Warren said outside court that he hoped the ruling would now "put an end to the matter".